VISIT LAS VEGAS FOR FREE! LAS VEGAS (Vegas Valley)–Using this map you have unlimited access to touring Las Vegas in a virtual reality. EXPLORE thousands of picture of the Vegas Valley including street views. These are not current images but you will become familiar with Sin City from the safety behind your own computer. Welcome to fabulous Las Vegas! Dream, enjoy and then come visit us for real. We’d love to have you visit for tourism is our livelihood. Explore, experiment and enjoy! Then, make Vegas your next vacation-destination wonderland. Hint: Select the area of the Vegas Valley you want to visit then point and click. The system will automatically load the compatible photos and street tour. You may select various maps such as street, satellite and terrain. Come and see where we live and enjoy our expanding community. Click “directions” and enter a second location such as your hometown and receive the stats for the trip. Or click the little eye in the right bottom of the screen and have your location automatically loaded. 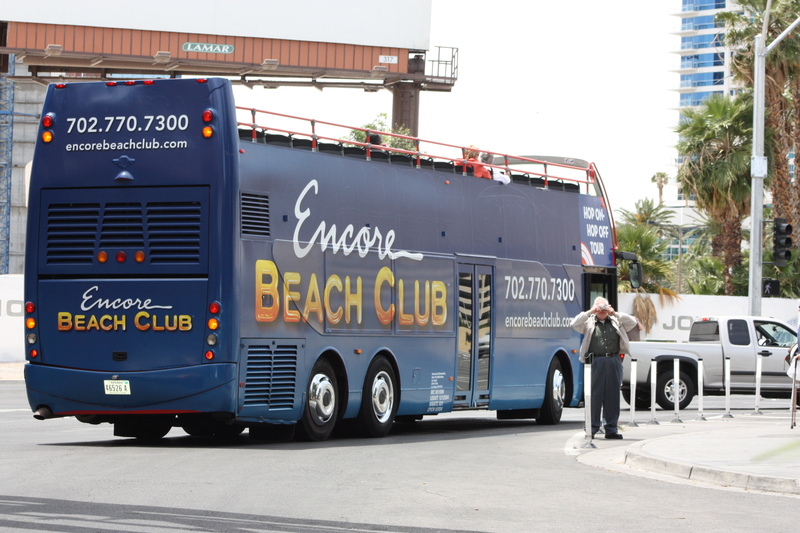 Ready to leave Vegas? Oh, we are so sorry to see you go. Type another location in the search box and enjoy the fastest virtual flight you will ever make. Please come back when you can. Is the Most Catastrophic Terror Attack in History About to Occur? LAS VEGAS (Vegas Valley)–Two missing things may reappear with disastrous results: Flight MH370 and large amounts of stolen and missing radioactive material. No one has a clue where either are. I just gave you a clue where they possibly could be. I hope I am wrong and I pray the world never realizes the ultimate possibilities that are out there in the darkness of terrorism. But in today’s world I’m probably more right than wrong, unfortunately. When flight MH370 went missing I had announced that I refused to speculate what happened to the Malaysia Airlines Boeing 777-200ER passenger jet out of respect for the families who are yet experiencing traumatic suffering. For them there has been no repose. When Flight MH370 went dark from the midnight skies over the Indian Ocean, taking 239 passengers and crew members, the lives of their family and loved ones went dark too. However, during the past two weeks I listened to countless and endless news media coverage of the tragic event and can only shake my head in disgust with the American and the world news media. The last time I expressed such shock was when I sat in my late stepfather’s home watching the evening news about the downed F-117A Nighthawk stealth fighter by Serbian forces using a Soviet-made SA-3 Goa surface-to-air missile (SAM) on 27 March in the 1999 Serbia-Kosovo War. The news media reported the pilot was sending a distress signal that would help the efforts of NATO’s search and rescue mission recover the pilot. My stepfather and I looked at one another in shock and outrage that news media did in fact reveal the precise location of the shot-down pilot, telling the world where the signal was coming from. My stepfather, a 26-year front line combat veteran understood what happens when the enemy recovered American airmen and soldiers before the U.S. military (or NATO) did. During the last two weeks every news channel under the sun has had a spectacle show about the vanishing of Flight MH370. 24 hours a day so-called experts sit and tell their fantasy wish what they believe happened to the aircraft that mysteriously disappeared. In one news segment reports claim the plane went 1500 miles East and another report it was said MH370 went the same distance West and then it went North and then it went South all on five hours of remaining fuel. The truth of the matter is, nobody knows where MH370 went and for two weeks nothing but hen-house gossip has filled the airwaves of every major newsroom. The drama continues to unfold as one so-called (nutcase) expert after another reveals vivid detail of the aircraft’s functionality and its equipment along with radar and cell phone capabilities and disadvantages, the weaknesses and strength of various nation’s defense, radar, tracking and communications systems. There’s a new player at the table, his name is Terrorism. All but Lucifer has been accused of criminal and terrorist plots on MH370 from Pakistan to Taliban to the pilot and co-pilot to Iranians, North Koreans, Indians and all kinds of real possibilities, but all pure speculation. LAS VEGAS (Vegas Valley)–Jackie Gaughan, a Las Vegas legend and pioneer and the owner of the El Cortez Hotel & Casino in Downtown Las Vegas has died, Wednesday, 12 March 2014, at the age of 93. Gaughan used to own as much as 25% of the gaming action in the downtown corridor. Gaughan loved to play poker among other things. I’ve played Texas Hold ‘em and Seven Card Stud with him plenty of times over the years in the El Cortez poker room, a small room with a handful of tables favored by locals, particularly the elderly. Poker at this casino room required a lot of patience and skill for many of the elderly players were rocks who only played their hand when they had something. The rest of the time they folded. You learned soon enough if Rocky was in, you’d better be out for he probably had the nuts. Generally, Gaughan would wander in and play a few hands before leaving again, only to return several times a day. He was a regular at the tables, but I don’t recall him ever staying very long. He was a friendly guy and liked by most and despised by a few. Unlike many of the casino barons in town, Jackie was personable and wasn’t afraid to blend in and play with his customers. He was the boss. He always wore a suit. He will be missed by those who loved the downtown action and Old Vegas. One of the last times I played against Jackie I wound up leaving and not coming back again for a long time. I was angry. It was before he retired, so it was before 2008 if I recall correctly. I always loved the seat directly across from the dealer. It was getting more difficult for me to see the cards and hear the dealer from other positions. For me, that was the best seat. Well, I guess Jackie liked that seat too. For I had gotten up to go to the men’s room to water the horses and I left the table with a mountain of chips that had been in front of me built during a long winning streak. I came back to find my chips with the neat stacks destroyed and pushed aside to the seat next to the one I had been sitting in–to the right of where Jackie was now sitting. “WTF?” I said to his body guards. “Jackie likes that seat.” The man replied. I wasn’t too kind in my answer. I was furious. The move was against all poker ethics. I cashed in my chips and left. I didn’t really care if a multimillionaire did own the casino and the poker room in it, you don’t shove someone out of their seat that is still in the game. It took me awhile to get over it, but I finally did. I forgave him. You see, I have respect for the elderly, even if the elderly don’t always do what they are suppose to do. I chose to remember the good times rather than the bad. I remember the times I beat Jackie in hand after hand and thought it was a big deal. It wasn’t really. But when you are the new kid in town sitting at the table with a legend your head swells a little bit. Well, okay, maybe a lot. Those were the times. Simple, but good. Well, maybe not always good, but memorable. The El Cortez was only one of many of Jackie Gaughan’s holdings, but his personal apartment was on the upper floors where he had a baron’s view of the city he dominated along with Vegas greats for decades. Many called the El Cortez “a dump” and never appreciated the casino, before or after, Jackie’s retirement. 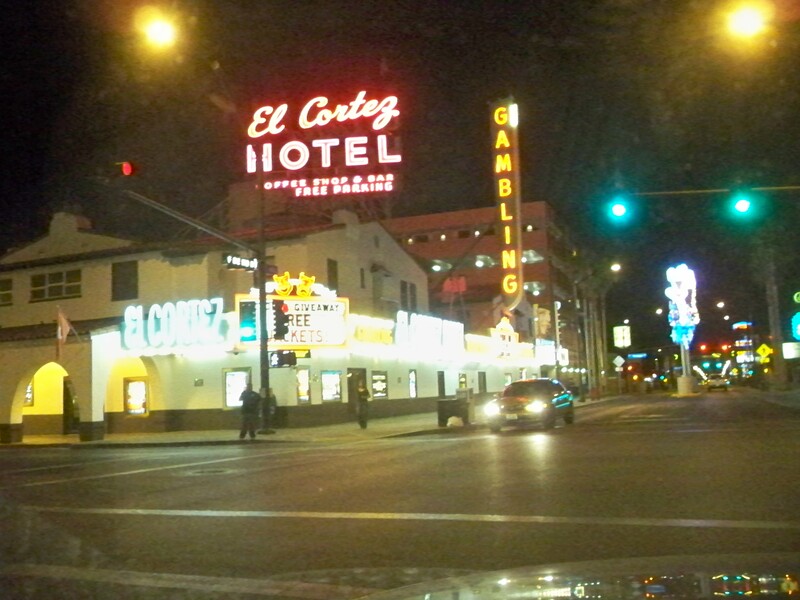 But those of us who loves the “Old Vegas” the El Cortez was among our favorites. It was a place where you could go and get a full breakfast for only 99 cent. The El Cortez, 600 East Fremont Street between 6th and 7th Street is located on the upper part of Fremont Street just before you enter the Fremont Street Experience at Fremont & Las Vegas Blvd. It’s a couple of block walk from the Fremont Street Experience and many tourist and locals alike enjoyed visiting the aging casino. It is recommended that one does not venture beyond the El Cortez at night since that is a high-crime zone. The El Cortez is one of the original gambling halls left in a town where casinos nowadays often die long before their masters. The El Cortez is one of the few survivors that the eyes of the souls from the past have seen and enjoyed when Vegas was young, like Jackie. LAS VEGAS (Vegas Valley)–News made it out of Vegas about the Mandalay Bay Resort’s visit by Las Vegas Vice. What happens here might not always stay here. The truth is, Mandalay Bay, as well as every other casino in the Vegas Valley has its share of prostitutes and drug activity. What sets this truth apart from the norm is that employees of the House of Blues’ Fountain Room inside the Mandalay Bar Resort were allegedly involved in providing customers with vice. A sting operation by Metro Police Department detected the occurrence leading to the firing of at least 10 accused employees. For inside details refer to one of the trusted local news sources, The Las Vegas Review-Journal, which is covering the news coming out from one of MGM Resort International’s gaming locations. You can always find a link to the RJ in Vegas Valley “News Links” found in the navigation bar above, along with other local news publication to keep you current on up-to-the-minute reports as well as any breaking news that there may be. Be sure to read the comments in the local news reports to get a feel of how area residents and tourist feel about the story. The Vegas Valley will be covering this story and creating related stories concerning prostitution and illicit drug use in the Vegas Valley. LAS VEGAS (Vegas Valley) — Albertsons announced this week it has confirmed merger agreements with Safeway, American’s second largest food marketing group. Albertsons website details the complete merger plan which insiders have told me will mean lower prices and many advantages such as company-owed dairies and other retailing advantages over competition. Many Vegas Valley folks things Albertsons is too pricy, but the fact to the matter is if one uses the Albertsons fliers and shop only the products on sale they beat many of their competition including Walmart. In a time when food prices are skyrocketing, the Albertsons-Safeway merger may be a blessing in disguise. The inside story direct from Albertsons. LAS VEGAS (Vegas Valley.wordpress.com) — While Brad Keselowski won this afternoon’s Kobalt 400 at Las Vegas Motor Speedway, Dale Earnhardt Jr. makes history. Dale Earnhardt Jr. ran out of fuel during the final lap and is overtaken by Keselowski in the final quarter, but takes second place to land his spot in auto-racing history for his opening season with three consecutive top-two finishes. Motorcar stories are still unfolding as auto racing ends for the day at Las Vegas Motor Speedway and crowds disperse into long-line traffic jams exiting North Las Vegas. Thanks to Daylight Savings Time, we had an extra hour of sunshine and coupled with good weather here in Vegas for one of the Valley’s most popular events. Neither Kurt or Kyle Busch had a good day at their home track. Unfortunately the Vegas Valley favorite home boys weren’t in the big money or even in the top ten, but then there are other racing days. The favorite sons will surely have their name in neon lights again. LAS VEGAS (Vegas Valley.wordpress.com)–Day Light Savings Time begins today. Did you remember to set your clocks ahead? For some of us we don’t have to, the electronics does it for us, such as the clocks in our cell phones. Put we are still surrounded with old-school technology which takes effort to “spring ahead” those clocks and get us ready for more SUNSHINE! It was fun watching the computer clock move from 1:59AM to 3:00AM in less than a keystroke. WARP Speed ahead. As a reminder, it’s always a great idea to change those smoke detector batteries too, while resetting your clocks. Twice a year we do this during “spring ahead” and “fall back” time changes. From Downtown Las Vegas, the world’s most creative & innovated news media center; giving birth to a world of fabulous ideas from the most fabulous city on the planet… no, in the universe. Thank you for all the recent follows from supportive Vegas Valley Patriots & Campfire Community followers. We welcome you aboard and invite you to be fully involved with your voice in Vegas’ newest media endeavor. You are among the pioneers that will go down in history in the Halls of Journalism as the first members of the Vegas Valley Patriots & Campfire Community and the most faithful Vegas Valley media recipients. Editing still in progress… Hey, it’s early, it’s alive, it’s super modern reality! Our heart & prayers goes out to the families and loved ones of all 239 people aboard Malaysia Airlines Boeing 777-200ER flight MH370. It is tragic when any airliner is lost. It is even more tragic when an airliner vanishes without a trace leaving behind no factual explanation for its loss. We reserve conscious respect without speculation as we await actual discovery of evidence into the lost flight that went off the radar screen without warning. The mystery surrounding the fate of the passengers aboard flight MH370 is disturbing. Before commenting further, we will hold our thoughts, other than to say we are deeply sorrowed for the ones who lost someone on that flight bound for some unknown and unplanned destiny. Why Malaysia Airlines jet might have disappeared Mar. 8, 2014 8:07 PM ET NEW YORK (AP)– The most dangerous parts of a flight are takeoff and landing. Rarely do incidents happen when a plane is cruising seven miles above the earth. 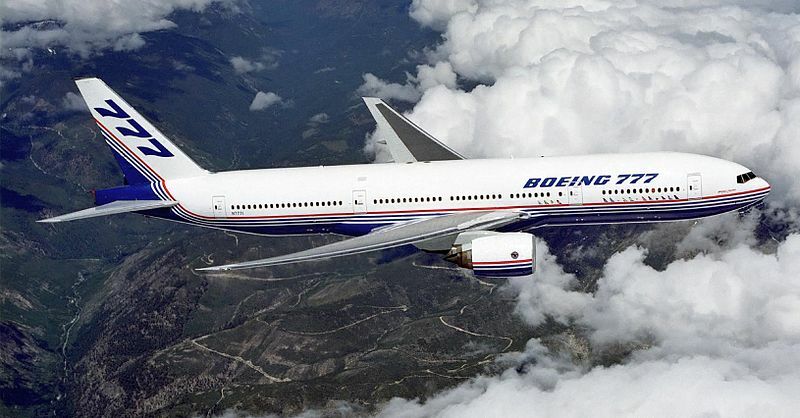 It could take investigators months, if not years, to determine what happened to the Boeing 777 flying from Malaysia’s largest city of Kuala Lumpur to Beijing…. On 1 June 1962, The Everly Brothers, under the Warner Brother’s label, released their song, Ebony Eyes. It was a story sang about an ebony-eyed love one lost in the dark skies during a tragic flight into an unknown destiny. Heartfelt, this song must reflect some idea of the chills that run through the human body when such fate is announced to the loved one waiting for their arrival. We pray, that somehow under the Heavens, these souls can find comfort and solitude for the agony they now endure while they and the world waits for the news of what happened to flight MH370. 32-year-old pilot, Marine Captain, Reid Nannen, was flying out of Fallon, Nevada in a U.S. Marine F/A-18C fighter jet on loan to the Naval Strike and Air Warfare Center, according to the Naval Air Force, U.S. Pacific Fleet, when it crashed a week ago, Saturday, 01 March 2014. Nannen was on a training exercise in the western Nevada region when the jet fighter went down. Weather and location delayed search & rescue operations for the downed fighter and its pilot. Rescue workers encountered a snow storm in remote, mountainous terrain before reaching the crash site where Nannen perished. The Navy range training complex where Nannen’s fighter jet went down is east of the Fallon Naval Air Station. Fallon is located in Western Nevada.